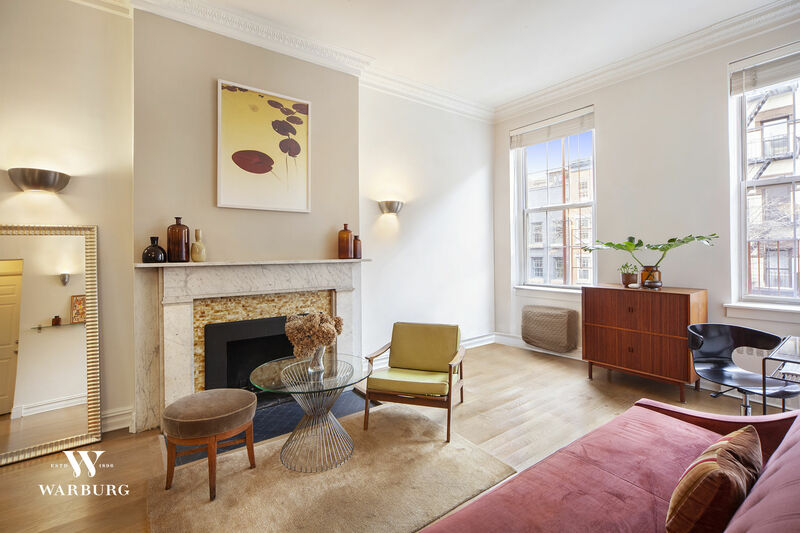 This quintessential Chelsea brownstone marries early 1900's charm with modern utility. 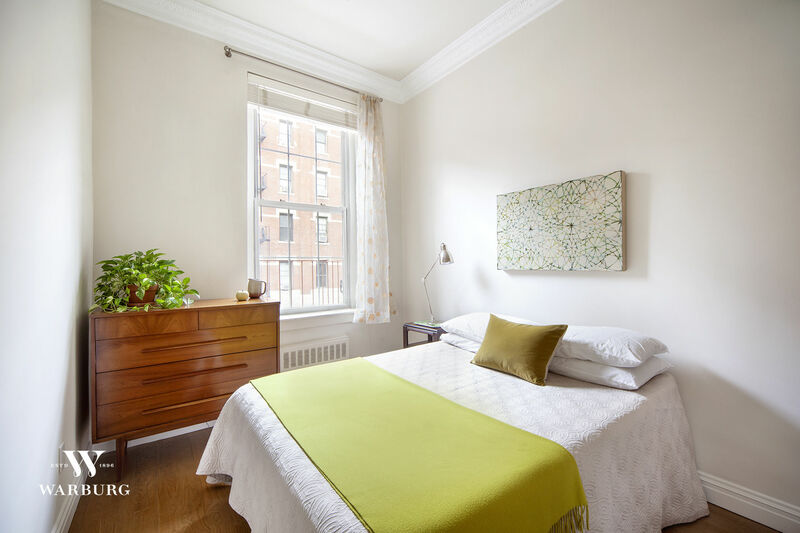 Over-sized windows and 11 foot ceiling height with crown moldings introduce special appeal to this impressively neat and comfortable one bedroom home. A graceful decorative stone Carrara marble mantle fireplace anchors the living room. A space saving in-wall/masonry sleeve air conditioning unit cools the home when needed. There is excellent storage, consisting of recessed medicine cabinet, and built-in bedroom closet/shelving.. Two more closets and three built-in cabinets provide ample space. 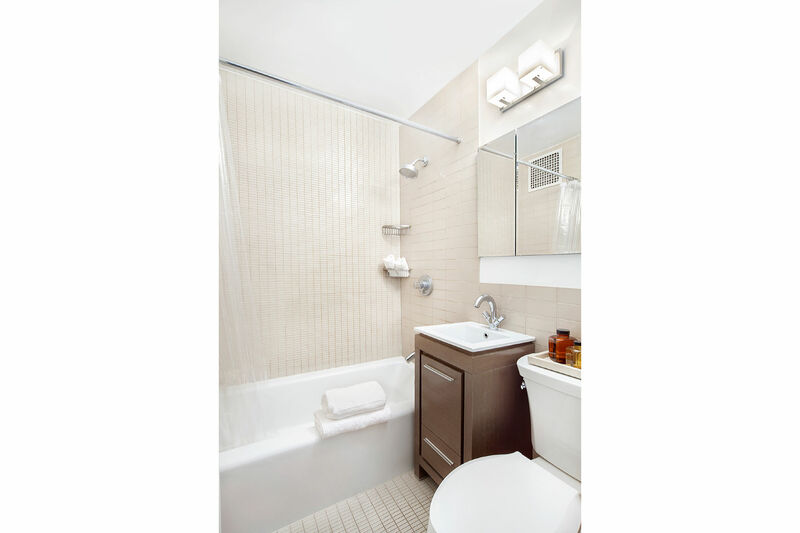 The bathroom is finished with Ann Saks custom tile; shower and tub have thermostatic mixing valve for consistent temperature. Kohler fixtures throughout. Flooring in the home is custom ¾ inch solid oak. The queen size bedroom also includes custom lighting unit with ceiling fan. There is also over-sized window in bedroom. The updated kitchen includes dishwasher, gas range and L-shaped stainless counter with integral Kohler spray faucet sink. 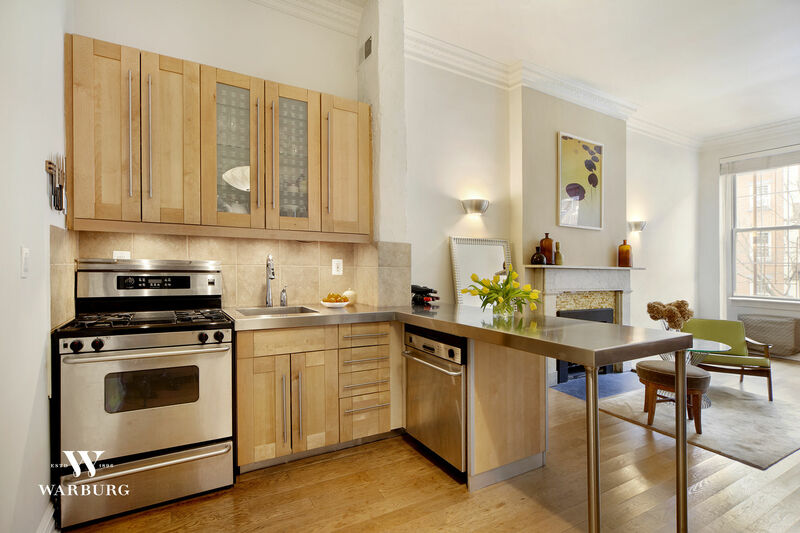 Enjoy plentiful kitchen cabinetry. 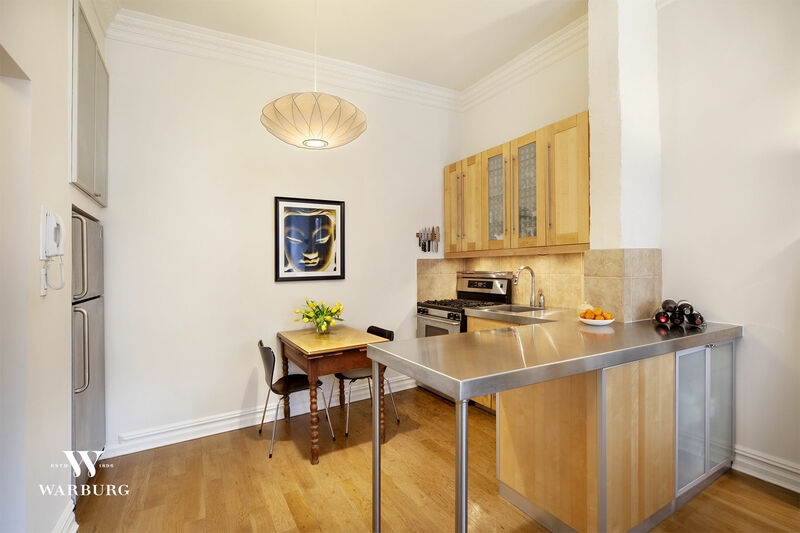 Easily accessible to transportation including the F,M, 1, L, A, C and E train lines. Located on one of Chelsea’s best tree-lined blocks, the vast amount of great dining, entertainment and shopping are just out the front door. Whole Foods Market, Trader Joes, the High Line and more are steps away. This is a small 9 unit Coop with laundry in basement, nearby super, and voice intercom system. Storage areas available in basement. Well maintained for years. This unit is a two flight walk-up. Welcome to Chelsea.